22, A Million will be released on September 30, 2016. It will be the third studio album from the indie folk band. The two-time Grammy winning band gave fans a sneak peak this week with the debut of two tracks from the anticipated album. When the four time Grammy winning folk duo The Civil Wars separated in August 2014, Joy Williams was thrust into being something she was very familiar with, a solo act. Having lots of emotionally tangible material to work off of, Williams musically labored towards her next project. Two years after the split, she released Venus. Venus is her fifth solo studio album and her first without roots in the contemporary Christian genre. Williams debuted the eleven track collection on June 30th of this year. The album is introspective and bold, touching on the themes of love, womanhood, and letting go. Reviews were positive and generally favorable for the heartache nuanced and pop folk work. Venus peaked at number 3 on the US Folk Billboard Album Charts. “Someone to Love You” and “We Can Never Go Back” are new two additions. Like most acoustic renderings, guitars play a prominent role in the musical landscape of each song. The chords to each song are not extraordinarily diverse. The notes tend to volley and jog back and forth throughout each single. When the graceful strums are married to Williams’ lyrics like, “Remember when you loved me/Remember when I left/ Remember that time it hurt like nothing else/Wanna try that again”, the result is musically resonate and poignant. 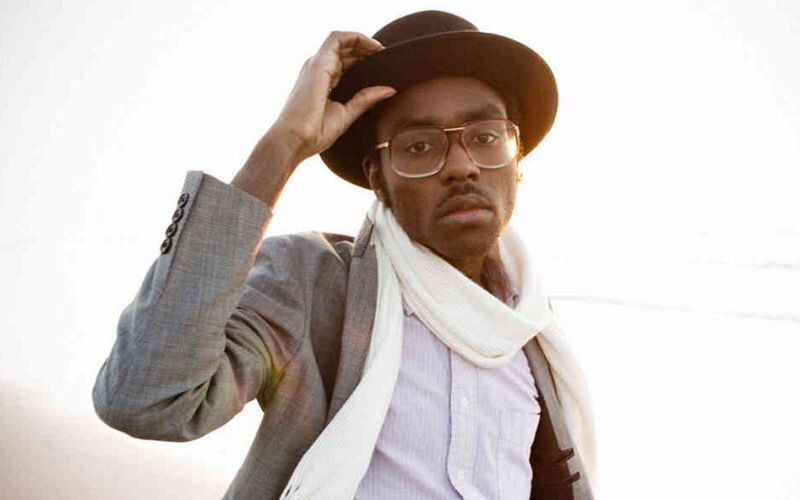 Devonté Hynes is a London born, NY based, singer-songwriter on the rise. 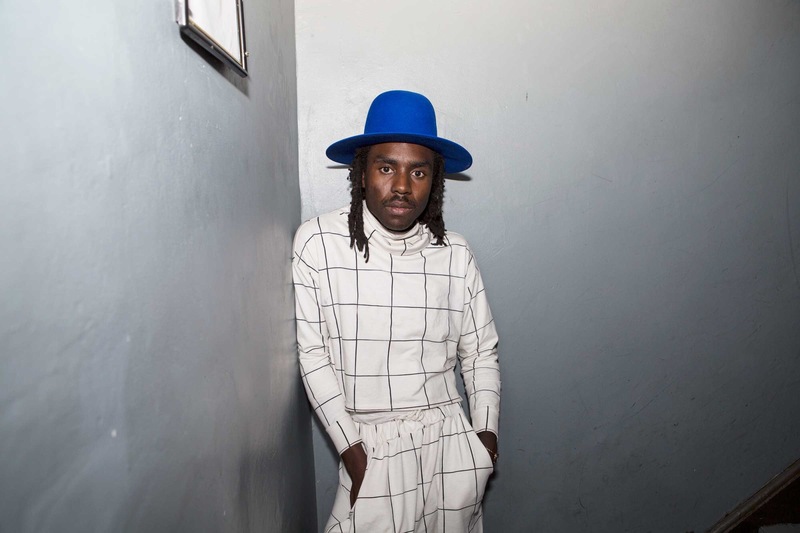 His latest release Blood Orange merges R&B and Electronica beautifully to create a hybrid sound. The project features various artists and writers such as Ta-Neshi Coates, Nelly Furtado, Zuri Marley, De La Soul, and more. Hynes has written for several acts including Florence and the Machine, Solange Knowles, FKA Twigs and Kylie Minogue. Ingrid Michaelson releases cover art & album release date. Singer-songwriter Ingrid Michaelson announced her new album title, It Doesn’t Have To Make Sense today. The project will be released August 26th, 2016 with pre-orders beginning Friday, June 24th. The single “Light Me Up” will be gifted to fans who pre-order the new release. The pre-order will be digital(iTunes), CD, and vinyl. Physical copies can be purchased on Ingrid Michaelson’s online store. This will be the seventh release from Ingrid Michaelson. The first single from this album “Hell No”‘was released on April 29th, 2016. Her coming North American tour, the Hell No Tour begins June 23rd, 2016 and runs through the end of the calendar year. Check here for tour dates in your area. Tickets are on sale now. Author yourplaylistlivePosted on June 22, 2016 Categories Indie, PopTags Ingird MichaelsonLeave a comment on Ingrid Michaelson releases cover art & album release date. 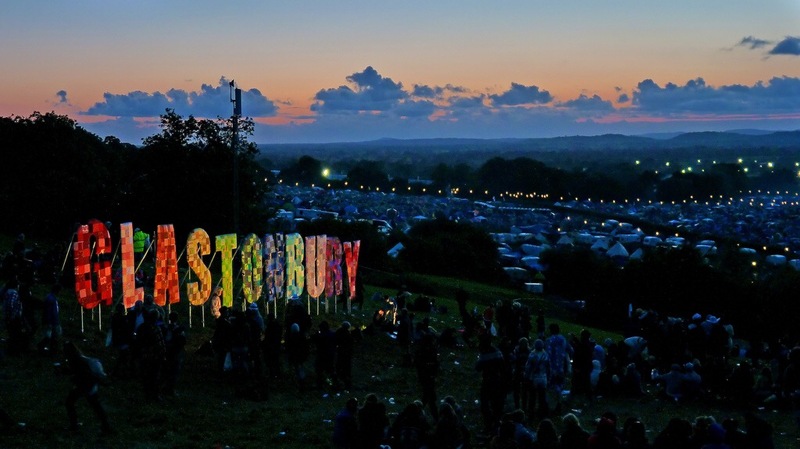 The wait for the UK mega festival Glastonbury is now less than a week. The outdoor event, for contemporary performing arts, begins June 22nd and closes on the 26th. Located at Worthy Farm in Pilton, Somerset, the yearly event has mounted great anticipation and fervor amongst music lovers since it began in 1970. Along with current music, the festival accommodates comedy, dance, cabaret, theater, and other events within the arts spectrum. Leading pop and rock artists usually headline along the main stage. There are also thousands of other acts appearing on smaller stages and performance areas. 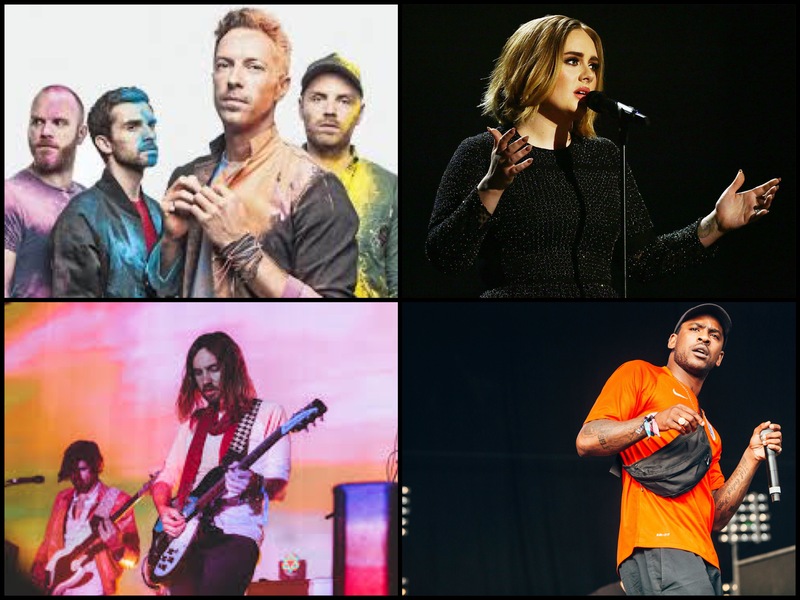 This year’s lineup includes Muse, Adele, Tame Impala, Jess Glynne, Skepta, Coldplay, Ellie Goulding, and others. It’s also rumored that pop icon Rihanna will do a surprise cameo during Coldplay’s set. The event will also have its first women only venue called “The Sisterhood” this year. Glastonbury calls it a “revolutionary clubhouse,” in which the venue’s staff, performers, and security will all be women. The Lumineers, a folk rock band from Ramsey New Jersey, released their first album in three years. Cleopatra debuted on April 8th, 2016. Their multiplatinum hit single “Hey Ho” in 2012, propelled their self titled album, The Lumineers to peak at number 2 on the Billboard 200 charts. They followed the musical success of that album with a tour and other singles, namely “Submarines“. In 2014 the band began working on a follow up album which later became Cleopatra. Thematically, the album permeates the concepts of escapism, fame, loss and the instability of love. The opening track “Sleep on the Floor” is an imploring plead for freedom. The lyrics suggest, “Because if we don’t leave this town, we might never make it out. I was not born to drown. Baby c’mon”. There’s a challenging desperation in this statement track. Three out of the next four tracks are female titled. “Ophelia”, “Cleopatra” and “Angela”. Ophelia is an upbeat tune with cascading piano sounds over the acoustic guitar. The lyrics echo the nostalgic sentiment of a past love gone, a feeling that also ricochets through the piano and slow clapping laced latter track “In the Light”. “Cleopatra” continues the paced tempo of “Ophelia” and is the title track for the album. The imagery of freedom and opportunities missed highlight the story of the protagonist who laments “I was late for this, late for that, late for the love my life. When I die alone I”ll be on time”. “Angela” builds on the concept of running away with lyrics suggesting, “strangers in this town they raise you up just to cut you down.” The word “hopeless” echoes as the song builds with handclaps and pace until the tune ends with descending strums and simmering vocal hums. Fragmented or glimpsed storytelling takes a darker turn in tracks like “Gun Song”, “Long Way from Home”, and “Sick in the Head.” The songs are filled with stern imagery of family dynamic, distance, unmet expectations, sickness, and death. They are not similarly structured in sound and exist in a diverse spectrum from hard strums in “Gun Song” to light acoustic picking in “Sick In the Head”. “Gale Song” was highlighted on the soundtrack for the film The Hunger Games: Catching Fire. The slow track fit the feature film’s concepts of distance, romantic breakage, and emotional breakage. The song expels, “I couldn’t know what’s in your mind but saw the pictures you’re looking fine. And there was a time that I stood in line for love, for love, for love but I let you go.” This track portrays resolute loneliness over beautifully strummed chords. “My Eyes” and “Patience” are intertwined tracks that close out the album. “My Eyes” is a slow tune of questioning and personal disarray that can come with fame. The song laments “The glow of Hollywood signs. They sold you a bridge. They fed you the lines. You always confuse your servants for friends. But you couldn’t see how it ends.” The track serves as a verbal warning and is one of the stronger tracks on the record. “Patience” is a melodic piano outro. It flows seamlessly behind “My Eyes” to a point where most listeners can’t tell where on track ends and the next begins. The album stays true to The Lumineers voice, storytelling vision, and sound. The lyrics are direct and leave you emotionally upheaved. Coupled by a good acoustic rhythms and harmony, it becomes an album for somber nights and adventurous days.